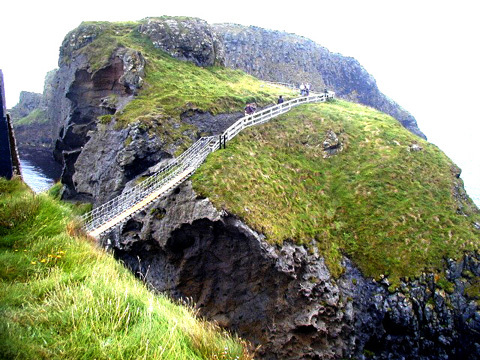 Beyond the Giant’s Causeway, a short coastal path leads to the Carrick-a-Rede Rope Bridge. 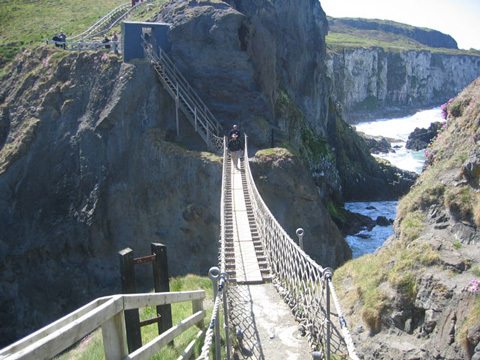 Traditionally fishermen erected, the rope bridge to Carrick-a- Rede island over a 23m deep and 20m wide chasm so that they could cross to check their salmon nets. In the past, it consisted of one single rope hand rail, but this has been replaced by a two hand rail bridge by the National Trust. It is a site of special scientific interest with unique geology, flora and fauna. Diverse birdlife can be observed at close range including fulmars, kittiwakes, guillemots and razorbills. From here, there are stunning uninterrupted views of Rathlin island and the Scottish islands. 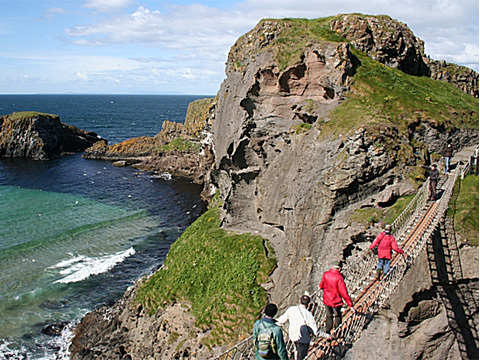 It is a bird watchers’ paradise but more extensively it is one ofNorthern Ireland’s best-loved attractions. There are visitor facilities. Refreshments, guided tours, access for visitors with disabilities and facilities for families. Dogs must be kept on leads and are not permitted to cross the bridge.